Al Christensen did a masterful job building this track! It features beautiful stainless sheetmetal walls to keep the cars off the floor. Al used small colored paint dots to mark the lanes for a cool and unique look. 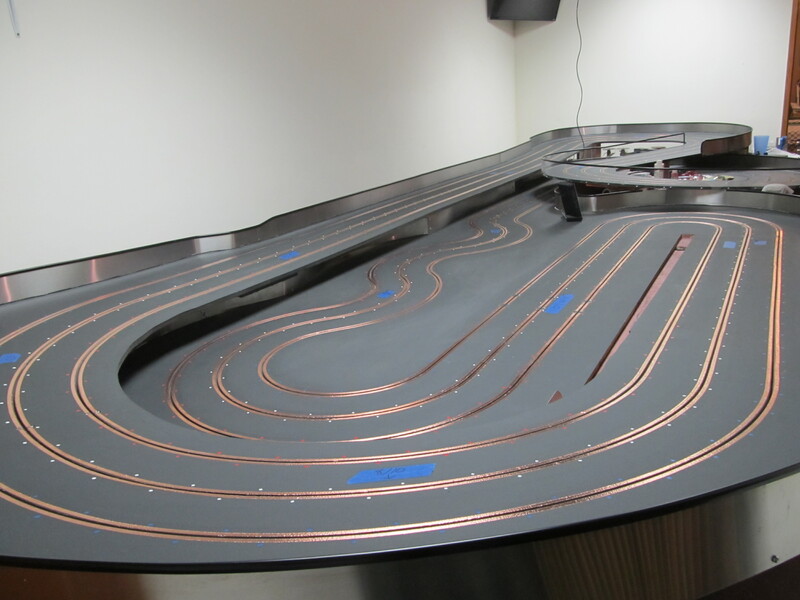 The track features copper tape for electrical contact. The track surface is black laytex over a Rustoleum "Magnetic" Primer base, which provides down force more cars equipped with traction magnets. The power supply is variable and provides plenty of power for any 1/32 cars, as well as 1/24 cars! A Race Coordinator system provides lap counting and timing for the track through the use of a dead strip.